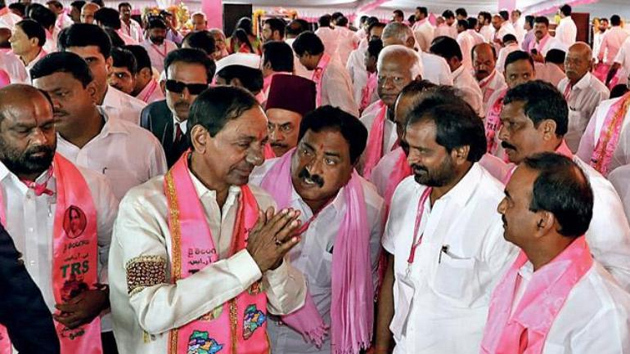 The TRS MLAs, including those who have served as ministers in the past government, are spending sleepless nights about KCR's plans for cabinet selections. With reports leaking out that KCR has called some young, first time MLAs and told them that they would be made ministers, the seniors are a worried lot. To add to the confusion, the general administration has ordered the reduction in the security of several ministers. This is an indication that they may not be made ministers again. Some personal staff of the ministers have been sent back to their parent departments and some ministers' chambers have also been closed. This is a further indication that these ministers might not return to the cabinet this time. KCR is said to be particularly unhappy with some ministers from North Telangana, who he feels did not work to their full potential. He is upset that they stayed put at Hyderabad and did not visit their constituencies. He is also said to be unhappy about some ministers of the last cabinet for encouraging groupism in the party. A TRS source said that at least a half of the ministers in the last cabinet might not return this time. Is This The Reason For Delay In Cabinet Expansion In Telangana?